A year or so ago, I read the true story of an English man who walked the length of the Thames River in England. He did not start one day at one end and continue walking until he reached the other end. Instead the walker fitted many stages of the walk around his normal working life. Through his eyes, and via his words on the page, I discovered a new way of seeing and understanding the everyday world one step at a time. Half a world away in Hobart Tasmania Australia, the mighty river Derwent wends its way from further north moving south over approximately 249 kilometres past Hobart towards the sea. Last weekend, I realised that if I could walk the edges of the Derwent, then a wonderful adventure might unfold. As I reread the above, my writing seemed unimpassioned and lacking the excitement I feel about this idea. How fabulous to walk along our wonderful river with all its changing temperaments and colours; on some days to walk beside its ruffled surface or its mirror sheen. To look across at parts of the city, the hills and the mountain. To enjoy the bobbing and sails of the yachts. To be reminded that I live in this marvellous place. And when I walk, I want to share my discoveries. I will write the story of the walk firstly on a blog followed by a later publication in a hard copy format – complete with photos. In addition, I will align the walk with the various set down and pick up points of commuter buses of the public transport system. In this way, I will make the walks accessible for anyone without a car. Alive with the idea, I alerted Ju and Jo. I knew they would contribute valuable information. Already the ideas are flowing. Immediately, Ju expected to walk some stages with me – an obvious and appropriate response. I expect other friends may wish to join some stages. It is unlikely the stages will be walked sequentially. Rather we agreed that I should buy detailed maps on which to mark out the length and track of distinct stages. Then, depending on the weather of a day or my mood, I can select the stage that best meets the situation. Stages will not last more than a day, but the length of any stage may vary. In winter a stage may last a few hours. However, during the long days of summer, a stage may last many hours. The walks will not always be on the rocky or sandy foreshores of the Derwent river. Sometimes these river edges may be place for our footfalls. At other times we may cross grassy slopes over hills or pass along the concrete pavements or bitumen roads of suburban streets. On occasion, permissions may be needed to pass through private land. But such possibilities are ahead. Each walk will be an incremental path through unknowns. Only once the length on both sides of the river has been covered on foot, can the patchwork of stages be brought together and moulded to tell a story. Today I purchased five maps: New Norfolk (5026); Richmond (5226), Hobart (5225), Taroona (5224) and Blackmans Bay (5223). Collectively these cover a small part of the length of the Derwent river. The initial aim will be to determine the walks from the sea ends of the river at a point in the Blackmans Bay suburb (on the western side) and near the township of Opossum Bay (on the eastern side) then continuing upriver and finishing at some point in the vicinity of New Norfolk. Further west then north some of the river flows through untracked wilderness so that serious bushwalking plans will need to be developed for those distances. The aim is to walk the most easily accessible bits first. 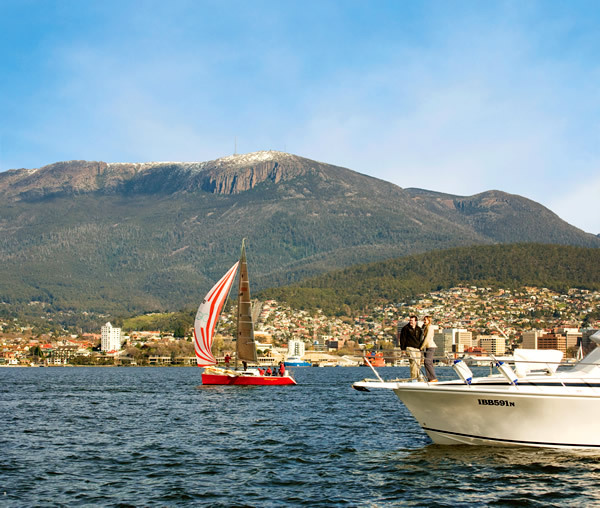 This entry was posted in Derwent River, Hobart, Mount Wellington, Walking and tagged Blackmans Bay, Derwent River, Hobart, Mount Wellington, Opossum Bay, walking on August 15, 2014 by Tasmanian traveller.